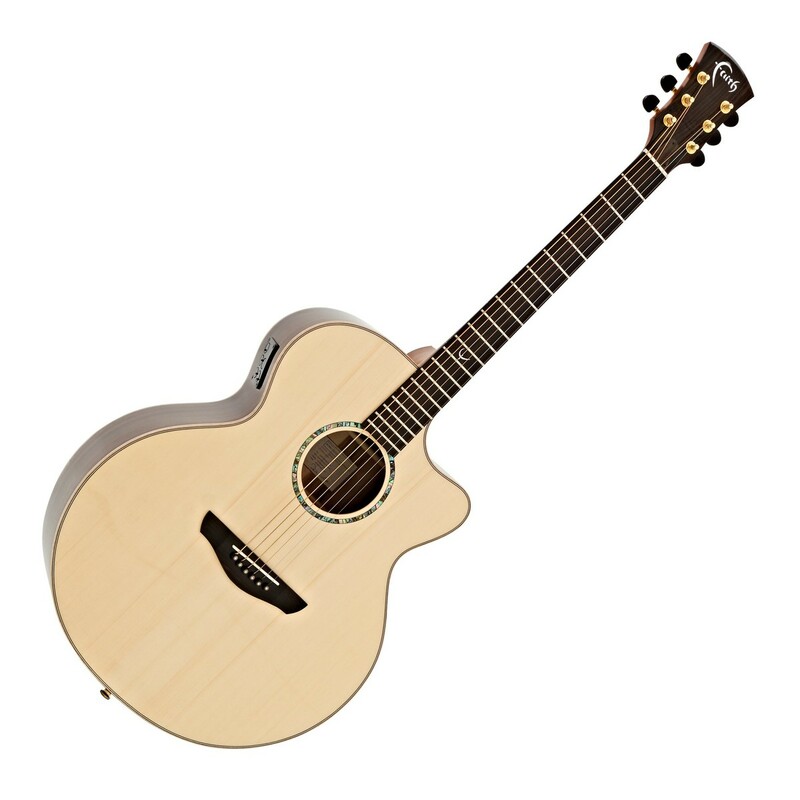 The Faith Jupiter Cutaway Electro Acoustic, Hi Gloss Natural provides the player with a traditional and sonically-powerful jumbo body combined with a solid wood construction and on-board Shadow Performer electronics, perfect for the gigging guitarist. With a solid engelmann spruce top and solid rosewood body, the Faith Jupiter projects a classic sonic performance with plenty of versatility, power, deep lows, articulation, bright, zingy tones, and clarity. 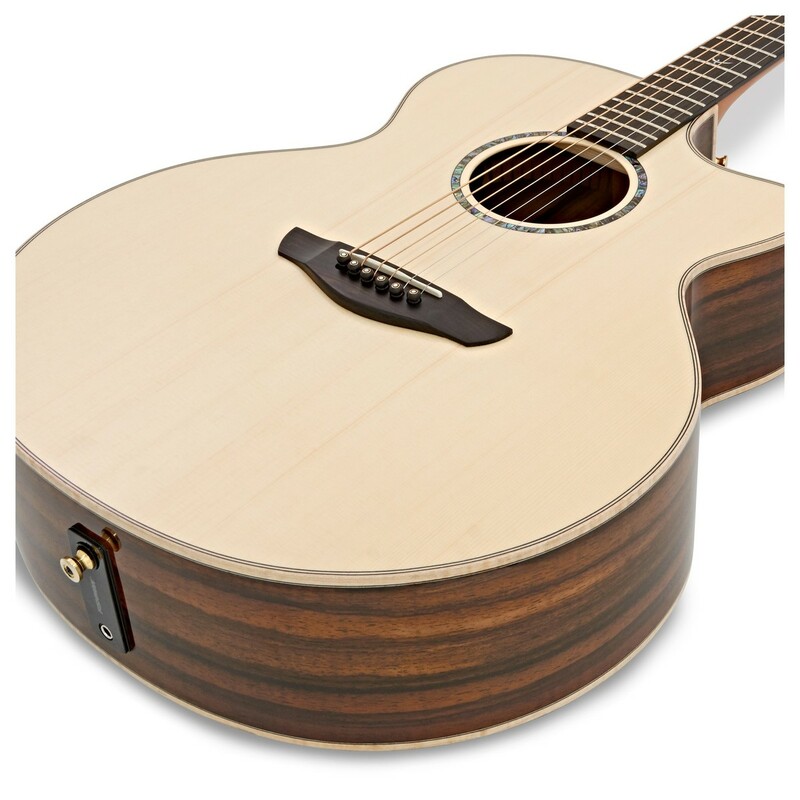 In addition, the Faith Jupiter features a traditional full-sized jumbo cutaway body that is rich in bass and low-end resonance while projecting an incredibly bold, loud acoustic voice. Furthermore, its sonically-versatile mixture of timbers combined with its big body provide the player with a rich, full-bodied sound that is equally suited to picking and strumming. Lastly, the Jupiter Cutaway comes equipped with a Shadow Performer preamp and Shadow Nanoflex pickup, perfect for live and studio settings as well as amplified rehearsals. The Faith Jupiter Cutaway Electro Acoustic features an entire solid wood construction for a superior tone and an incredible dynamic response. 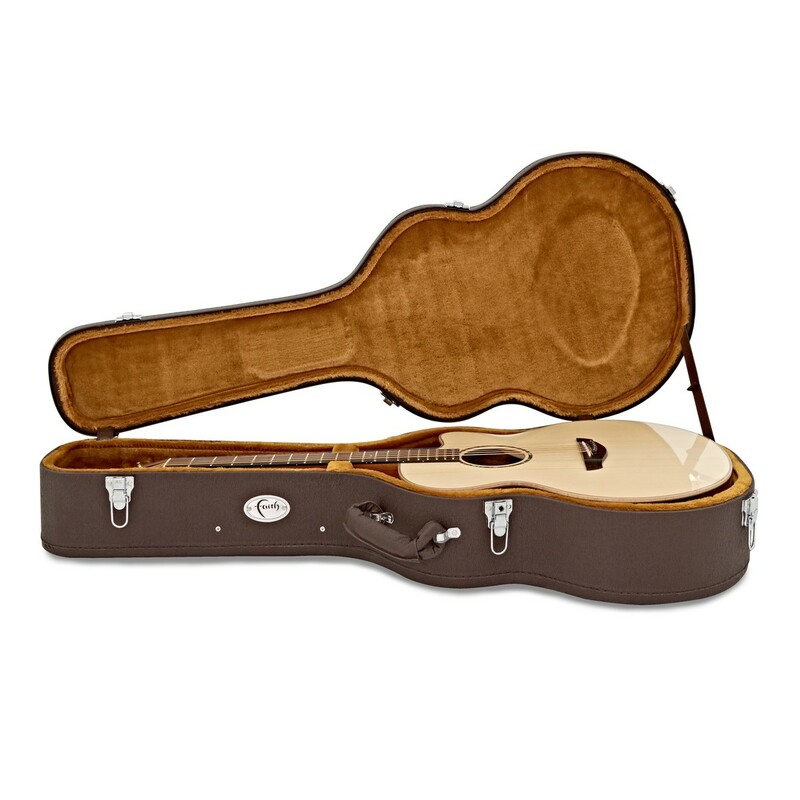 Its solid engelmann spruce top yields crisp articulation and slightly richer mid-range than sitka spruce. 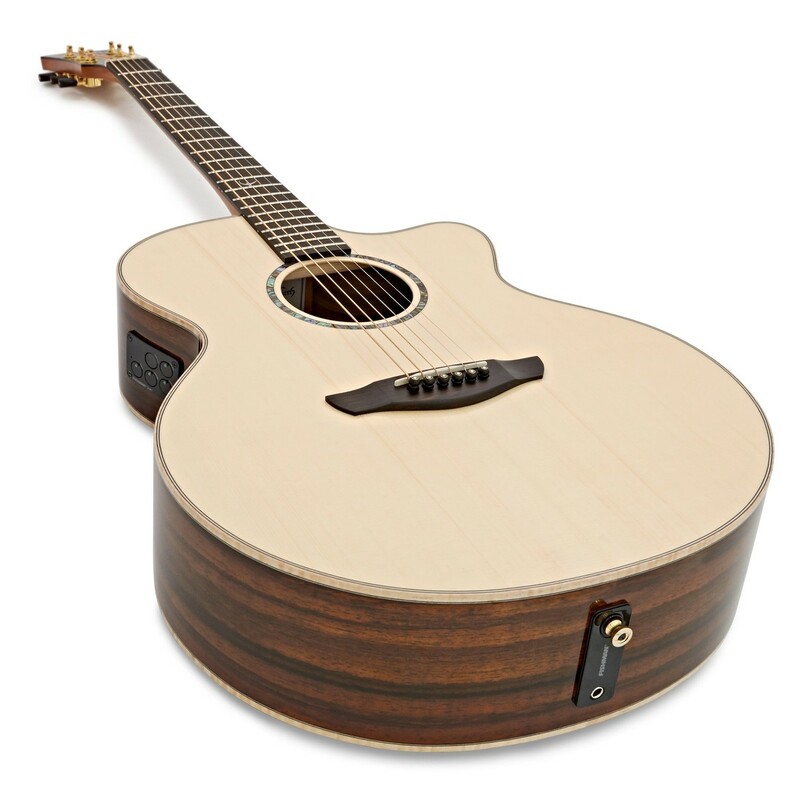 The solid top's smooth tone provides a versatile soundboard that is able to accommodate numerous genres and techniques with equal ease, from various fingerpicking styles to heavier strumming patterns. Furthermore, the solid engelmann spruce top is paired with solid rosewood back and sides that produce a strong, warm, deep bass response with great clarity. Its solid rosewood back and sides also produce an incredibly rich tonality with a throaty growl while its treble notes sparkle with plenty of crystal clear clarity. Lastly, with rosewood's iconic tone and spruce's versatile nature the Faith Jupiter is ideal for bluegrass, folk, country licks, as well as accommodating meaty chords and a variety of picking techniques. The Jupiter is Faith's biggest guitar and offers superior acoustic volume and projection whilst maintaining balance across the tonal spectrum. In addition, the Jupiter's shape projects superb sustain and an incredibly powerful sound that is both rich in bass and low-end resonance. With its solid mixture of tonewoods, big, bold jumbo body, and legendary Patrick James Eggle bracing, the Faith Jupiter offers a superb response to a wide variety of genres. Additionally, the Jupiter also plays brilliantly when attacked with meaty chords and light, articulate picking techniques, as well as flat picking and percussive techniques. Furthermore, the Jupiter's larger body offers add comfort to each performance via its venetian cutaway profile, providing easy access to upper frets and more challenging chords. With a neck constructed from mahogany, the Jupiter offers a quick and dynamic response with plenty of warmth and resonance. Mahogany's nature allows it to respond superbly to numerous playing styles and techniques with ease, perfect for getting creative and unleashing true potential. Furthermore, the neck is topped with an Macassan figured ebony fingerboard that adds ringing sustain, plenty of bite and a bright sizzle to the guitar's overall tone. 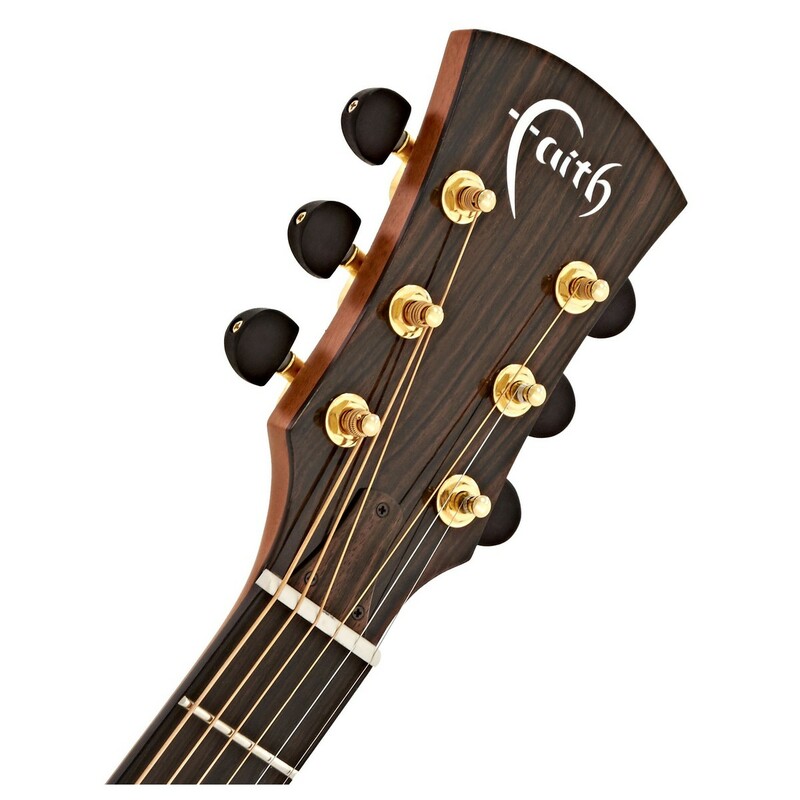 For added aesthetic appeal, the fingerboard also features Faith's majestic 'F' logo placed on the 12th fret and inlaid in mother of pearl for an elegant look. 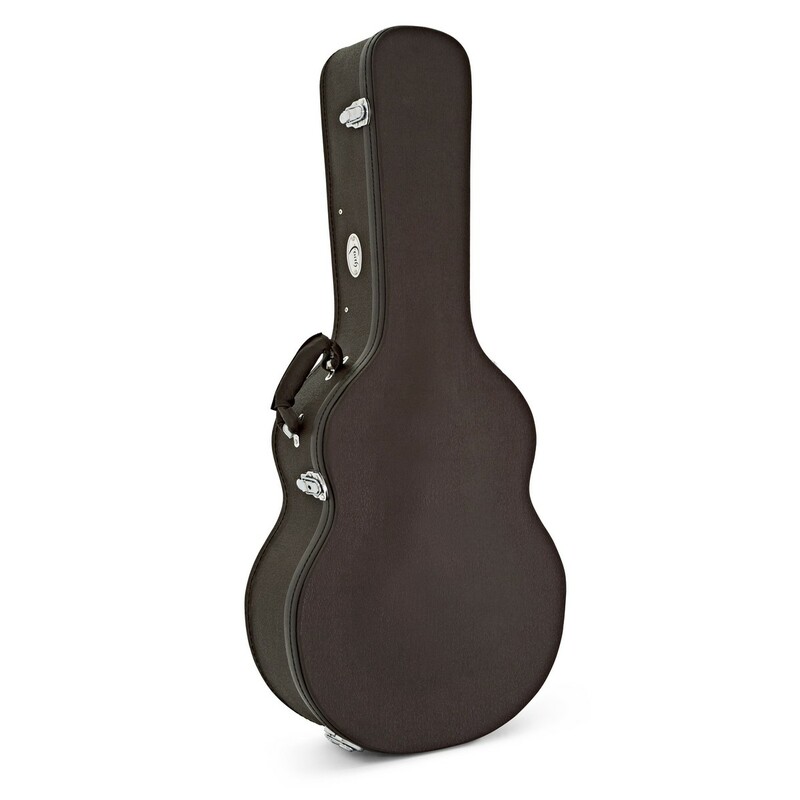 The Faith Jupiter Cutaway comes equipped with quality electronics, making it ideal for the stage or studio; perfect for the gigging or recording guitarist and performing singer/songwriter. 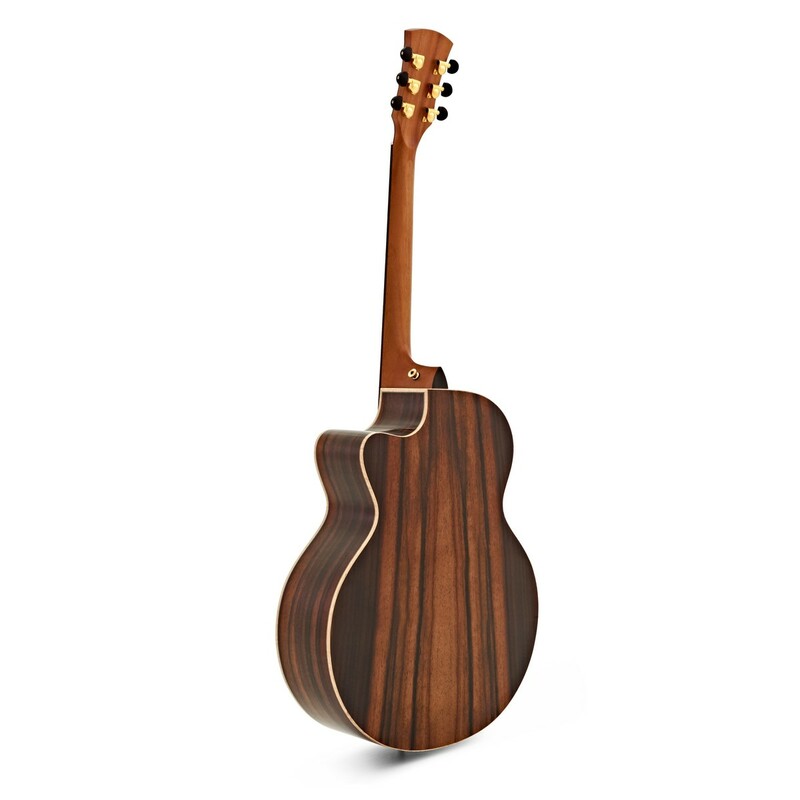 In addition, the Jupiter is fitted with a Shadow Nanoflex pickup that will project each string played purely and clearly, enabling the player to hear each stunning nuance this solid wood construction produces. Furthermore, the Jupiter also features a side mounted Shadow Performer preamp with built-in EQ that includes volume, bass, and treble, allowing the player to tweak their amplified sound to personal preference. 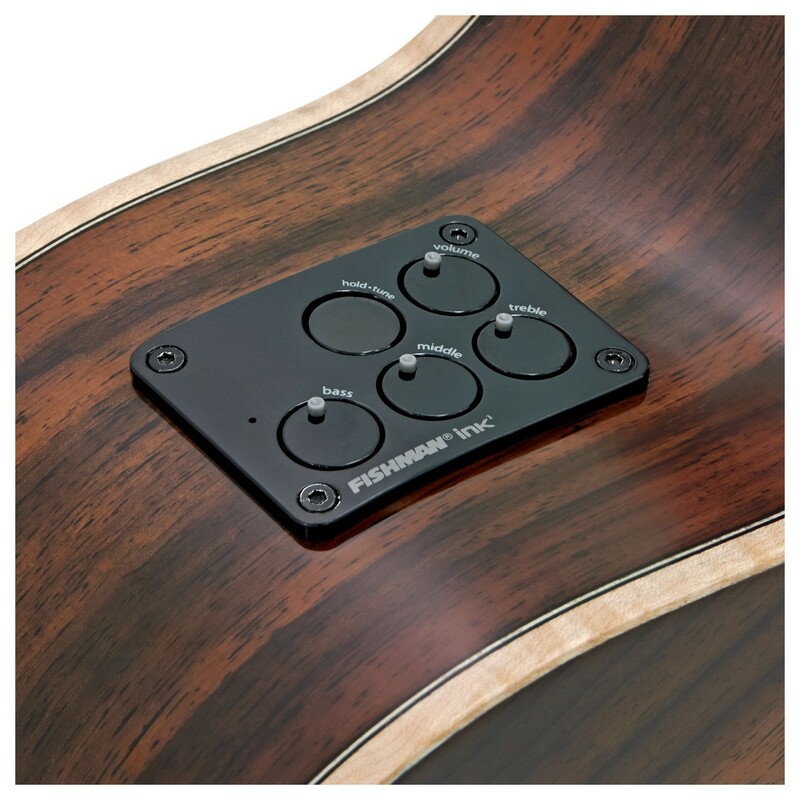 Lastly, the preamp comes with a built-in tuner which can be used whether playing acoustically or amplified, perfect for precise and easy tuning on-the-go.